Dr. Damon Boyd was born and raised in Sacramento. He completed his undergraduate studies at the University of California at Davis. He went on to attain his Doctorate of Dental Surgery from the University of the Pacific, San Francisco in 1994. 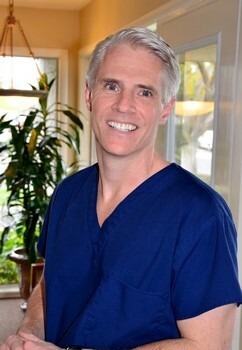 In 1996, Dr. Boyd started his dental practice on Professional Dr. In 1998 Dr. Boyd furthered his implant prosthodontics training at Practical Clinical Courses in Provo, Utah which was taught by world-renowned expert Dr. Gordon Christensen. And in 2000, Dr. Boyd returned to Provo to complete a course in Implant Surgery by Dr. Christensen. He also tries to take a course EVERY month to keep up on this fascinating and challenging field of dentistry. Dr. Boyd is also a member of the Sacramento District Dental Society, California Dental Association, and the American Dental Association. Dr. Boyd prides himself on providing personalized and individualized care. He sees one patient at a time and is very punctual. No one really “waits” in our waiting room. Dr. Boyd has two assistants Sarah and Emiliegh. Both are Registered Dental Assistants and earned their licenses here in Sacramento. These exceptional women enjoy interacting with their patients and helping Dr. Boyd provide them with excellent care. Tiffany is our dental hygienist, she is very friendly, and extremely gentle.